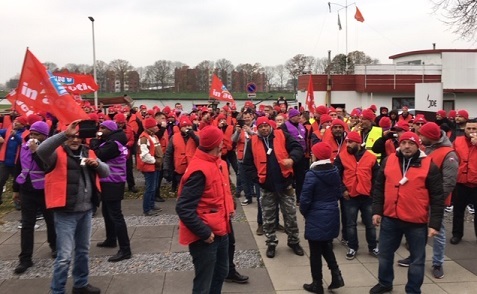 In Germany, JDE workers and their union the NGG are in a dispute over basic trade union rights. JDE has unilaterally terminated its agreement with the NGG and refuses to negotiate with the union, a violation of the OECD Guidelines for Multinational Enterprises. The company is instead attempting to reach agreements with the works council - which, according to German labour law, is illegal.